Our aim is to let you have the best time you can possibly have while learning the latest salsa moves Extremos has to offer in Amsterdam. The founder and main instructor of Extremos is Ivan who has been teaching Salsa & Bachata dancing in Amsterdam for over 20 years. Thousands of people have learned to salsa at Extremos. At Extremos you can either get a membership (subscription) or get class credit (pay per class). By far the cheapest pricing option is to subscribe for a membership. We offer different options and how much you pay per month depends on the number of classes per week and the minimum length of the contract. Select a subscription and sign in. Please note that all memberships are renewed each month after the initial period. This is our most basic level in which you learn the fundamentals of Latin partner dancing. This is more than just doing “the steps” as we emphasize on posture, arm movements and lead & follow techniques. It’s best to start this class from the beginning, so check above when and where the next beginner courses start. If you want to join once the course already started it’s best to give us a call. It’s best to start this class from the beginning, so check above when and where the next Improvers courses start. Everything you have learned in the basic courses is now combined into longer and more complicated turn patterns. There will also be more emphasis on styling, especially for the ladies. In our Semi Advanced level, you are expected to have a good overall lead & follow technique, know your basic turns and are comfortable on the dance floor. We will also start with Spin Techniques. The difference between our Semi Advanced and Advanced is mostly the level of the participants, as the turn patterns are not necessarily more complicated. Ladies, however, MUST know how to spin! Nice teachers and cool atmosphere. Mobile application well done. 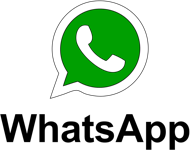 Join our WhatsApp group and be the first to know about our events ad if we need extra m/f in classes. Each day around 16:00 we announce in which class we could us extra leader/followers. Look no further. Click the video to watch our dance and see more on our youtube channel. Don’t forget to click on the subscribe button to see more from us. Any question further? Or already impressed? Feel free to contact us and we will come back to you as soon as possible. Extremos is a dance school specialized in Salsa dancing in Amsterdam. Our dancing instructors have experience in teaching salsa lessons for over 20 years. Salsa has grown much in popularity in the last couple of years. Not only in Amsterdam, but also in many other parts of the Netherlands. Younger and o lder generations both dance a lot to these exotic rhythms. 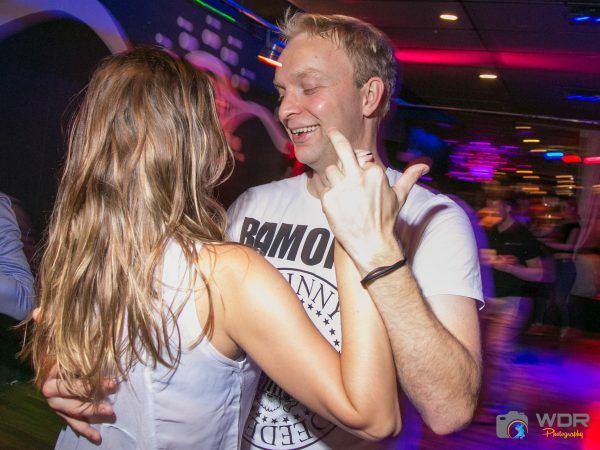 Salsa dancing at Extremos in Amsterdam is open to everyone. Our lessons are always taught in English, which makes the lessons accessible to everyone. This makes Extremos one of the most popular Salsa dance schools in Amsterdam where over 300 people from different nationalities are dancing to the salsa music! Apart from making sure there is always a fun atmosphere at Extemos, a lot of attention is also directed to personal attention to improve the dancing techniques of our guests. Our Salsa lessons are available at different difficulty levels. This means that we have special lessons for beginning Salsa dancers and also lessons especially for people who already have years of experience in salsa dancing. Take a look at our Salsa agenda to see what lessons are available at Extremos Salsa School. We teach our lessons 7 days a week. Furthermore, you don’t need a dance partner at Extremos and we will teach you all of the Salsa dancing techniques in no-time! At our school, various subscriptions are available to make sure there is always a spot available in your busy schedule. Haven’t you tried a Salsa lesson at Extremos yet? At our dance school you can have a salsa or bachata trial lesson in Amsterdam for just €3. In this way you will certainly know afterwards if Salsa dancing is something for you. During such a trial session, our instructor will teach you a thing or two about Salsa dancing and the different techniques. We promise you that we will start of slowly. Together with other inexperienced dancers you will have a Salsa trial lesson at one of our facilities in Amsterdam. Our dance schools are spread over different locations in Amsterdam. These include Amsterdam West, East and the city centre. Our schedules show you exactly which and when each lessons will be taught. On average, we teach about 5 to 8 lessons each day. Because of this there will always be a lessons available which fits your schedule and your Salsa skills. The numbers behind each lessons refer to the difficulty of the lessons. The number 1 stands for the lowest level (salsa for beginners) and number 5 is ideal for the more experienced Salsa dancer. Apart from our fun Salsa lessons, Bachata lessons are also taught at our schools in Amsterdam. We teach these lessons approximately 2 to 3 times a day at different levels. Every Bachata dancer, beginners and experienced dancers, are welcome at Extremos in Amsterdam. Each Bachata sessions takes 75 minutes.